Industry insiders close to the producers and creatives, who wish to remain anonymous in order to save their jobs, are enjoying the confusion. They claim the text to be narrated is an adaptation, or retelling of The Bible called The Bible: A Novel. The author(s) have not been named, but it’s rumored that one or both of them have relevant experience novelizing stuff, though there’s a penchant for changing the endings. That might be problematic. Oughtabull Oratory and Richard Armitage have partnered numerous, many, lotsa, times before – even winning some awards together. 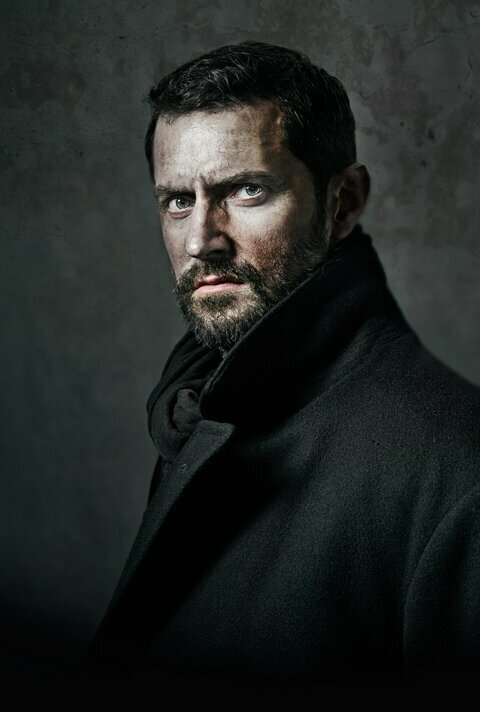 When asked what drew him to the work of narrating The Bible, Armitage said it was one of the first books he read as a child. He loved the story of Sampson who played around with his hair and beard to much distraction, and was a real contender. 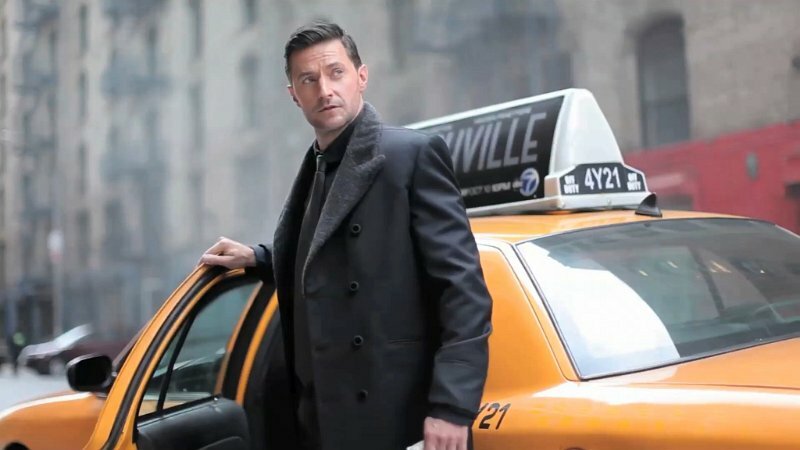 Fans who want to actually see Richard Armitage are eagerly awaiting Berlin Station, S. 3 – or a bit of it, The Lodge and My Zoe. The writer is not up on sales and distribution for these two films – only time will tell if we get to see them or when. This entry was posted in Richard Armitage and tagged Audible, Berlin Station S.3, Castlevania, My Zoe, Richard Armitage, The Lodge, The Man From St. Petersburg, The Martian Invasion of Earth, Wolverine:The Long Night. Bookmark the permalink. Thanks. Inspired you and Servetus – but today, it was you. Thanks and welcome. Yes about The Contender. There was a brief time when I thought I ought to change the name of the blog – but it didn’t get that far- not quite over the hump -yet. Yes I think there are a lot of parallels from 5 years ago to today esp your quip about The Lodge and My Zoe maybe never seeing the light of day for a few years although I think as hard as Julie Delpy fought to get her film made she will fight to get it distributed hopefully better than Candida did for Urban (which I still haven’t seen) . I’ve had to read the entire piece a few times b/c there was so much coming at me I was afraid I was missing the in between puns and double entrendres. Well well done, just brilliant writing and creativity. oh dear sweet Jesus, God speaks!!! the suggestion that he’s doing so much audio work b/c he doesn’t want to be seen, is really interesting to me. the thought that maybe he’s doing it on purpose never occurred to me. also, the Bible as a novel? that sounds intriguing but makes me nervous at the same time. if it ends up being controversial in any way, Richard may get some kickback for that. You know, I have a version of the Bible noted – Word in the Street – and it’s the Bible in street slang. If he was reading THAT…. oh man. It is! It’s a neat read. I just looked this up real quick. seems like maybe if the Bible were a Hamilton musical? lol! my kids might actually like this, thanks for the rec! you know, this is a spoof, right? Well damn! Still would like to hear hear narrate Word on the Street. We’ll get to hear he sounds reading koine Greek. A whole new market of seminarians will stop complaining about their introductory Greek classes and stare into the air, transfixed by the sound of his voice. Or at least some middle eastern accent – if it’s as good as his Russian . . .
That is amazing! You really had me going there for a while, thinking “What can they be thinking? ?” Just like the merry band in The Hobbit, complete with the hair thing (with horse?) lol. This is great! Thanks. I was sure that Oughtabull Oratory.com would be red flag that this was a spoof, but I guess some readers are or were used to me posting news, so more or less they skipped over it. Do you think that the rewriters of the Shakespeare plays are involved? I have an audio version of the Bible narrated by several actors such as Richard Dreyfuss, Jim Caveizel and Marisa Tomei. I wonder if Richard’s narration will be similar. Jeannie, this post is a spoof meant to make fun of all the audio work Richard is doing. He said “it was one of the first books he read as a child”…hahaha I literally laughed out loud. I can totally hear him saying that in my mind if he were to actually promote this ‘project’ Good one! That was great. Maybe you should run it again on April Fool’s day. Only if I feel lazy. This year, there was no April Fool’s post at all. And glad to see you blogging again! brilliant.. because for a chilling second when i saw the title of the post and before reading i actually considered it LOL close to the bone and hilarious :-))) and you got the promo spot on, first book he read as a child muahahahaha! Thanks. Sometimes it just comes so easily. For a moment there I saw the headline and thought “what??!!?? No! Hasn’t he narrated more than enough hours already, possibly as many hours combined as a bible narration would take?” And then I went on to read this and laughed! 😂 Thank you for the giggles! LOL, check the archives from 2013 to about 2016 for the most stuff. Somewhere along the line – in the beginning, I was posting a lot of news – not that much creative nonfiction. I get the hint. Haven’t been able to put my finger on the dearth of interest in the past year, two years, but part of it, a small part, is lack of response from readers and a dwindling of bloggers to share stuff with. Also, FYI, I’ve been mulling over a post about new fans, inspired by you, mainly, because when I read your comments on other blogs, they remind me of myself when I first stopped lurking and started commenting. It’s been amusing to observe you discover older work, try to catch up on years of history, etc. Well I appreciate all that you have said and I will go back and reread your past blogs. I’ve started on Guyltys now just to catch up to all the lingo, abbreviations and conversations b/c things will come up now that a small group of commenters know the reference to and I admittedly say what does that mean or over my head. I love learning new things and the last 8 months most of the time after discovering Richard in BS (I know I know) was lurking which I hadn’t heard of until my sister told me “You are a lurker” when I told her I had a thing for the Brit. So I have found it a joy and a refreshing escape to pillage his works (Still haven’t seen Cold Feet, the Marple one, and the big one Urban). Some I have seen a few times (RH, SB and Spooks and BS like 5 times) which before I would never do. Some like The Impressionists-one time is it. I like the imagination and creativity of what you wrote and that it was so subtle like hit me hit me hit me ok hit me again with the zingers and one liners. It is a testament to your brilliant writing that some people thought it was real. The OughtaBULL and two tweet entries were just fantastic. I fall into the first one by the way. I am also suffering from insomnia for the last year. It is dangerous for me b/c I am a very light sleeper and I start to surf and research online looking for intel on him or watching YT interviews. My doggies do not like me when I do this. My insomnia is stress related I think, ?? Please write any blog posts b/c I started one and have enjoyed the comments coming in. Mine is based on commentary and if there is none then I get insecure (ie I told my sis to comment on one movie post and she still hasn’t) but I enjoy the writing and although I dislike the word catharsis it is an emotional outlet for me. I comment a lot on a few other blogs b/s I like the tet-a-tet with the other commenters and blogger and learn new things about them and myself. As a P.S. I too would not watch anything where animals are killed ie baby tiger. Need a link to your blog. I’ll look for your next post. I found this one disturbing in the beginning, so I stopped. Also, I started, as a lurker, by reading every post, going back years and years, posted by a handful of other RA bloggers – most of whom are gone. I came into the fandom at the time when we were waiting for promotion and release of The Desolation of Smaug and Into the Storm – and there was nothing else. I scrounged around for all the previous work. I got to everything except two narrations of wildlife specials – I avoided one because I think a baby tiger died. What also helped was about 18 months of insomnia.